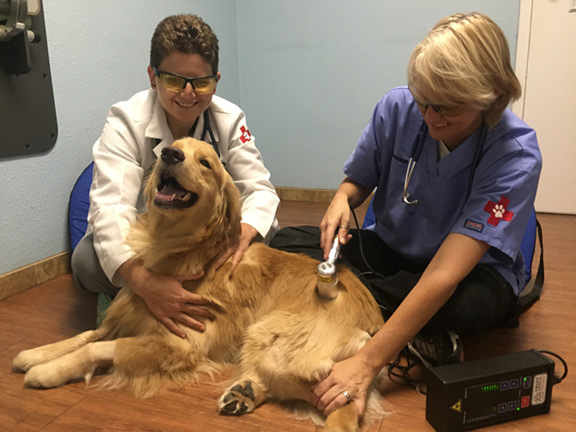 Dr. Erin Rothrock and Technician Shannon administering Cold Laser Therapy to one of their patients. This type of therapy plays an essential role in the recovery and rehabilitation process. Does your pet have a torn ACL? A torn ACL is one of the most common causes of rear limb lameness in dogs. Are you looking for an alternative way to repair your pet’s knee problem? Tibial Tuberosity Advancement is the latest method for repairing the canine knee with a torn ACL ligament. The TTA surgery corrects the most common knee injury in dogs, the rupture or partial tear of the cranial cruciate ligament. This injury can occur in any age or breed of dog, but tends to occur in overweight, middle-aged dogs. A partial tear untreated most commonly leads to a rupture. Most owners notice a limp or instability of the knee. Untreated knees are very painful and become arthritic. The only treatment for these types of injuries is surgery. The TTA procedure is less invasive and more economical than other orthopedic procedures to repair these ligaments. We perform pre-anesthetic blood-work before any surgical procedure. During surgery, doctors and technicians closely monitor vital signs including heartbeat, oxygen level, and blood pressure. We use a state-of-the-art surgical CO2 laser to perform all of our soft-tissue surgeries. This practice results in less bleeding, less pain for our patients, reduced risk of infection and quicker healing time.Afterwards, our patients awaken in a heated recovery area for warmth and comfort. Technicians are present during the entire process (pre-operative through post-operative) to ensure patient safety. Our technicians remain with one patient during the surgical recovery process. This allows our team to give their full attention to their patient’s needs. 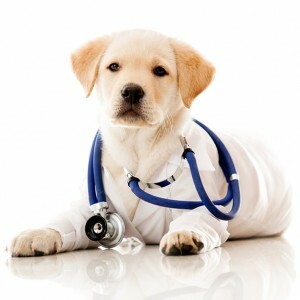 Upon discharge, owners are given time to meet with the doctor to go over any questions or concerns that they may have. Recheck appointments are scheduled so we are able to monitor our patient’s progress as well as perform rehabilitation therapy. We believe in lasting relationships with our patients and their families. 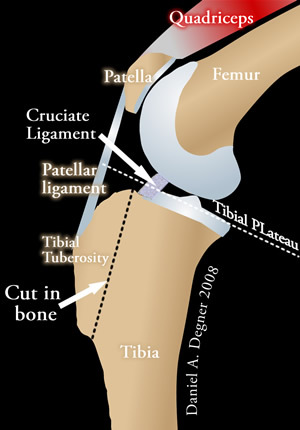 The TTA procedure involves making a cut in the front part (tibial tuberosity) of the tibia or shin bone and advancing this portion of the bone forward and slightly upward in order to realign the patellar ligament. This eliminates abnormal sliding movement within the knee. Dr. Rothrock’s long standing interest in orthopedic surgery drive her to study newer, more advanced approaches to knee injuries. She went on to become quite fascinated and inspired with the challenged of orthopedic surgery. 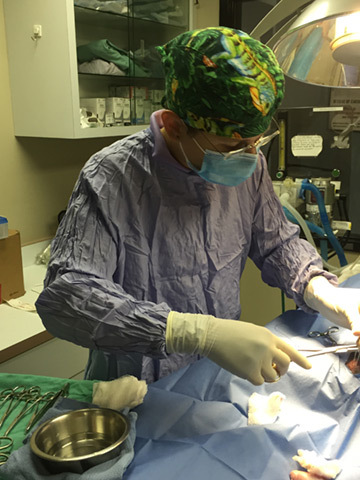 By performing the TTA procedure on-site at My Pet’s, she is able to able to provide continuity of care throughout the surgical process, while patients remain in the same facility. This allows Dr. Rothrock to oversee her patients through every step of the surgical and recovery process. 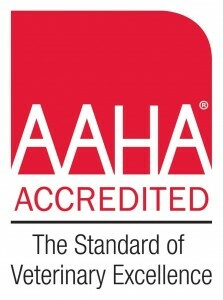 We Are A Full-Service, AAHA Accredited Veterinary Hospital. MyPet’s Animal Hospital offers a wide variety of services striving to meet the needs of all our customers. We understand how important your pet is in being a member of your family and we are committed to providing the absolute best veterinary care available. When you call, please ask our staff about any of these services and we will gladly take the time to discuss what we can do to help you keep your pet healthy and happy. Submit your information and we will call you to schedule.